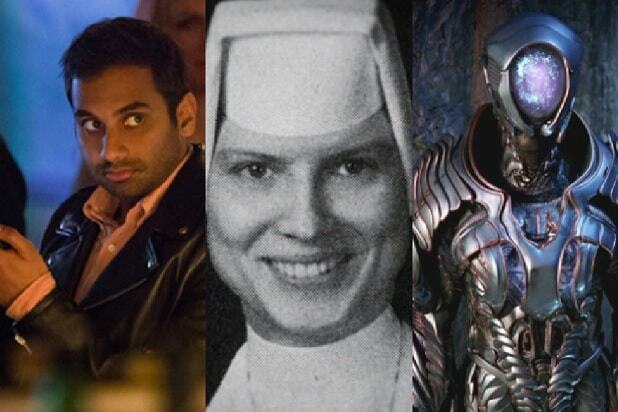 Netflix is bringing its $6 billion dollar production budget back to Hollywood. 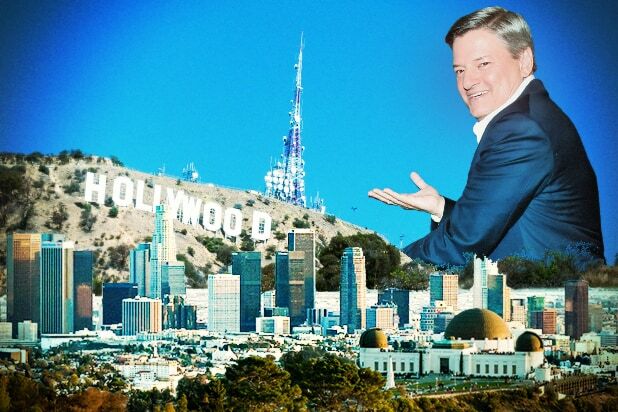 In an exclusive interview with TheWrap, Netflix Chief Content Officer Ted Sarandos said that he intends to bring as much production as possible to California, having concluded that chasing tax incentives in other states produces diminishing returns on screen. “I personally believe instead of investing in tax incentives that we should invest in infrastructure,” Sarandos said in an interview at Netflix’s sleek new Hollywood offices, home to roughly a thousand employees, as the company continues its explosive growth. Moving productions to benefit from tax incentives, common practice in the industry, “is very tough on families and eventually it grinds on the talent,” Sarandos said. The streaming giant will invest in California as the company ramps up original production — luring projects back from states that offer significant tax rebates. “If people were enjoying their work, they would do better work. That’s been our own corporate philosophy too,” he said. “Bright,” a $90 million action film starring Will Smith and directed by David Ayer which hits the service this Christmas Day, was shot entirely on location in downtown Los Angeles. These are just a few of the projects paid for with the company’s reported $6 billion purse, which accounted for what Sarandos estimated to be 1,000 hours of original content (as opposed to acquisitions and licensing deals on features and TV series). States like Georgia and Louisiana have lured film and TV production out of Hollywood for years. Disney’s Marvel is now a mainstay in Atlanta, where statewide impact from the film industry soared to $7 billion in 2016. In Louisiana, Ryan Murphy’s popular limited anthologies “American Horror Story” and “Scream Queens” initially set up shop in and around New Orleans before relocating to L.A. last year with more favorable California tax credits. As recently as last month, at CinemaCon, Mila Kunis bemoaned the Atlanta heat she’ll face for her upcoming sequel to “Bad Moms” — set at Christmastime. On her podcast, actress Anna Faris often discusses the challenges of living apart from her movie-star husband, Chris Pratt. The executive said the company will always travel “when the location is the character,” citing the underbelly of the Florida Keys for “Bloodline” and the mirrored architecture of Washington, D.C., that “House of Cards” finds in Baltimore. “I’m happy to participate in the incentives if they work, but there is a cost on the creative of the show. ‘Veep’ is a great example, when they moved form Baltimore to L.A., it got way better,” Sarandos said of the HBO Emmy magnet. “They have the best writers on television now. The show is funnier, everyone’s happier. I think it shows up on screen. Shooting in L.A. is an investment in the quality of the show,” he said. California does offer a tax incentive program, a grueling and competitive “jobs score ratio” system accounts for $330 million in funding. In 2017 alone, four TV series returned to L.A.: FX’s “Legion” and Fox’s “Lucifer,” Showtime’s “The Affair” and Netflix’s own Brit Marling drama “The OA.” Last year’s lottery allocated resources for 28 feature films and 15 TV productions. Sarandos’ comments are likely to provoke reactions in other states, where billions of dollars of production is at stake. Sarandos’ office is modest quarters by mogul standards, but it does boast a 360-degree balcony with a view that includes the Sunset Gower Studios Lot. It was erected in 1912, and today hosts Chelsea Handler’s eponymous Netflix talk show. Sarandos does not take the unique position Netflix is in for granted. He said if he were an independent producer, he’d probably chase the tax incentives as well. But Netflix is following its own model. “The money that we’re saving actually shows up on the screen,” he concluded. For the record: A previous version of this story incorrectly stated that FX’s “American Horror Story” and “Scream Queens” were still shooting in Louisiana.